This was a beautiful day in early summer last year. 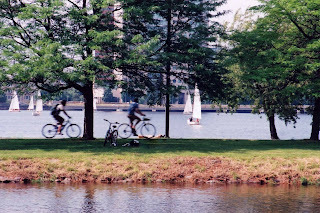 The cyclists and sailboats were all out in full force. We spent a lot of time walking along the Charles River. There were so many sights to photograph that day!